As much as your favourite bartender would like you to believe it is, creating delicious cocktails is not rocket-science. Yes, there are incredible bars around the world using the most unusual ingredients, methods and complicated technology to push the limits of what is possible, and nothing can replicate the special atmosphere, service and feelings provided by a great bar. The large majority of classic mixed drinks involve elements that bring one or more of four key elements to the table: strong, weak, sour or bitter, and sweet. The "strong" element is commonly provided by the principle spirit in the drink, whether it’s the rum in your Daiquiri, the vodka in your Martini or the whiskey in your Manhattan. High in alcohol it provides the backbone to any cocktail. In short drinks like the ones mentioned above, the "weak" element commonly comes in the form of chilled water from ice. Ice can change many things about a cocktail however most importantly it is used to chill and dilute, softening and lengthening the alcohol. In longer drinks, the "weak" element can also come from a non-alcoholic mixer in the form of a juice, soda, tonic or tea. Onto the sour/bitter versus the sweet: one side of the equation without the other would result in a horribly off-balance and unpalatable drink. In classic drinks, sour usually comes in the form of citrus juice, usually lemon or lime - think Daiquiri or Tom Collins. Bitterness is often provided by cocktail bitters or a bitter liqueur - think an Old Fashioned or Negroni. Sweetness unsurprisingly comes from sugar, commonly in a syrup - think agave nectar in your Tommy’s or Triple sec in your Cosmopolitan. Now, what happens if you stick to these classic principles but "switch" one simple sweetener for a more complex one, change from a classic citrus to a more unusual one, try out a different style of rum? You create a "twist." These cocktail variations are often the distant relatives of the originals, but they all have one thing in common if done right. Balance. Everybody drinks bubbles to bring in the new year so why not spruce it up with a sweet puree of your favourite fruit? Shake well with cubed ice – strain into champagne flute – top with sparkling wine. Undoubtedly the best option for a party – self-service and all the work done before the guests arrive. Add all ingredients to a punch bowl and stir. Garnish with wheels of orange, lemon and dark cherries. Classic mixed drinks involve elements that bring one or more of four key elements to the table: strong, weak, sour or bitter, and sweet. Aged Rum is on the rise and makes a great base for a twist on the bourbon classic. Stir all ingredients over cubed ice in a rocks glass – Garnish with a zest of orange. Stir all ingredients in a mixing class, with cubed ice until ice cold – strain in martini glass and garnish with olives. 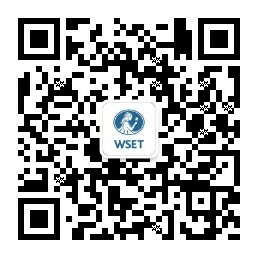 Follow WSET Spirits Educator Liam Scandrett on Twitter here. Learn more about WSET Spirits qualifications here.